Paul with a big bruiser he caught with me this past week! The weather has been perfect and the Redfish have been plentiful! 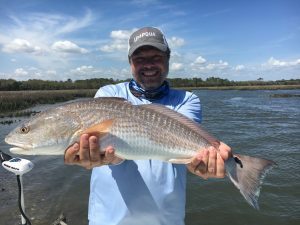 Call to book your Jacksonville Fishing Charters today!